Home / غير مصنف / Star Wars 8: Real reason WHY Luke was killed - Guess which director tried to STOP it? Star Wars 8: Real reason WHY Luke was killed - Guess which director tried to STOP it? 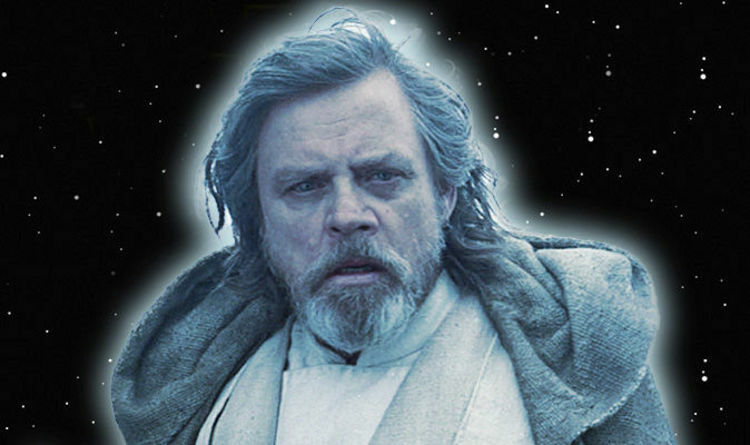 Luke's unexpected death is not the only thing some fans have a problem with, but it is one of the major ones. The Jedi master sacrificed himself and disappeared back into the force just when he looked like he was returning to the main action. It left many fans furious and frustrated. Director Rian Johnson made no secret of his intentions to reboot the franchise but fans will be shocked to learn which other Star Wars director agreed with his plans and which one tried to stop it happening. It seemed clear to many fans that Johnson had little interest in continuing the legacy of the original trilogy and its beloved characters. Fans had celebrated to return of JJ Abrams to direct Episode 9, but now it seems that he agrees with Johnson and that it was Colin Trevorrow who tried to stop it all from happening. A new report claims that Abrams and Johnson both wanted the "legacy" character to be removed or sidelined as much as possible to make way for Finn, Poe, Rey and Kylo. Was Trevorrow fired because he did not want Luke killed? Star Wars Youtube analyst Mike Zeroh says: "This is reasons why the original director Colin Trevorrow was let go because he wanted Luke to live into Episode 9 and also to have Snoke with a back story in The Last Jedi. "The full reason why Johnson killed Luke is to free up space for the new characters... without any of the legacy characters pulling them backwards. He felt there would not be enough space for these characters with Luke Skywalker around. "This is also what JJ Abrams wants and planned with Johnson for Episode 9." Of course, this does not take into account that everyone involved has constantly repeated that Leia was set for a major, pivotal role in Episode 9 until Carrie Fisher's untimely death changed everything. The new comments will not help win over any Johnson opponents, but certainly cast a fascinating new light on what happened with Trevorrow. It was widely assumed the 2017 critical and box office disaster of The Book of Henry contributed to his exit, however he still had the mammoth Jurassic World under his belt.